This past weekend was my grandparent’s 65th wedding anniversary! Most of their children, grandchildren, and great-grandchildren traveled to spend Sunday with them. We went to church then gathered for a family lunch at a local restaurant. Since I was traveling for several hours I decided to make cookies instead of a cake so that they would travel better. These are what I came up with. 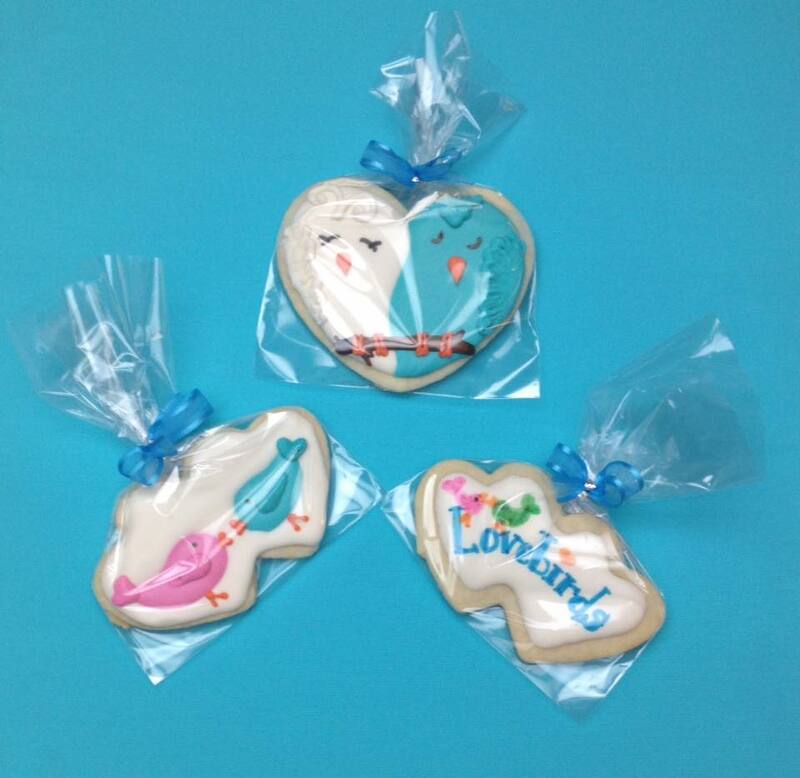 The citrus flavored sugar cookies are decorated with royal icing. The large heart was flooded in two colors to look like two birds snuggling together. The branch, feet, beaks, and top feathers were piped on after the cookies were dry. The wings were added using brush embroidery. Eyes were then drawn on with edible marker. Ron and Imogene sitting in a tree…..don’t they look content! The double heart cookies were then flooded in white. 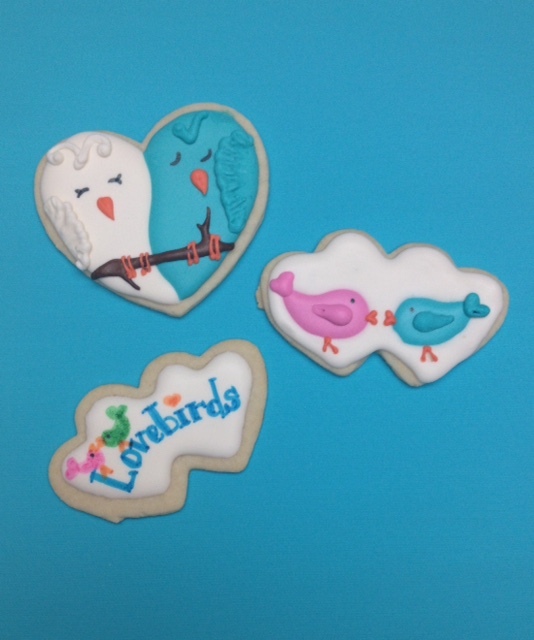 Half of them received royal icing love birds facing each other to look like they were K-I-S-S-I-N-G. It is hard to tell in these pictures, but the piped birds are two-(and-a-half?)dimensions. The remaining white double hearts were decorated with edible marker. I hand-wrote and hand-drew the designs on each cookie. Each cookie was then placed in a clear bag and tied closed. We arranged them on a turquoise tray and they did look pretty cute. I had to persuade the guests to eat them and not take them home as souvenirs!! Posted in UncategorizedTagged animals, anniversary, birds, cookies, hearts, love, party favors, weddingBookmark the permalink.